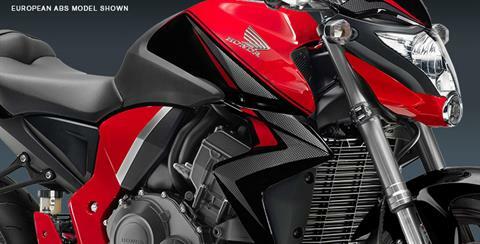 The Honda CB1000R is the kind of motorcycle that believes in rolling up its sleeves and getting the job done. No excuses, hardly any bodywork, its chassis and engine are out front and center for the whole world to see. And that’s exactly the way a whole brand of riders like it. Because with a CB1000R, nothing gets between you and your connection with the machine you’re riding. Its clean, essentials-only layout perfectly frames a fuel-injected four-cylinder 998 cc engine that’s overflowing with loads of right-now power. 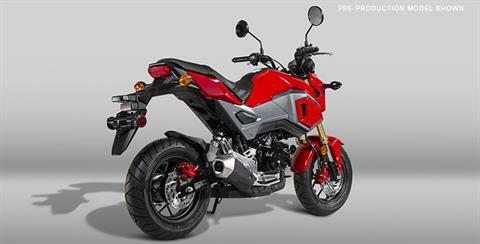 The unique chassis incorporates a single-sided swingarm with a high performance single-shock rear suspension that helps make this bike stand out as well as perform. Some might call it a naked bike. Some might say it’s an open-class street fighter. 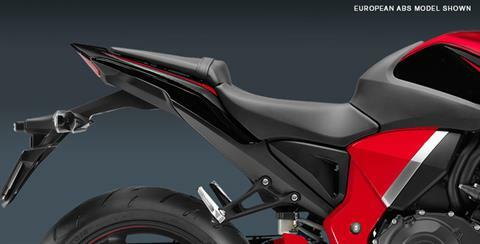 We just think it’s an awesome motorcycle for those who like their bikes served straight up. LED POSITION LIGHT: Uniquely styled, the LED Position Light is a compelling design feature that shows everyone that this is not any ordinary motorcycle. It's a Honda. ALL DIGITAL INSTRUMENTATION: CB1000R's high-tech, all-digital instrument display features tachometer plus LCD readouts for speedometer, coolant temperature, odometer, two tripmeters and a clock, mpg and average fuel consumption. 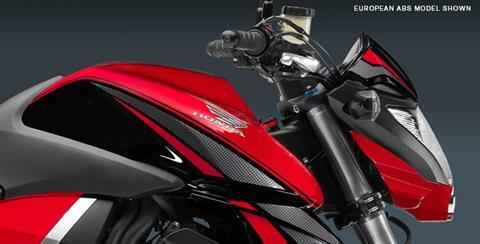 ADJUSTABLE BRAKE AND CLUTCH LEVERS: CB1000R's adjustable brake and clutch levers let you fine tune for the riding environment, and tailor fit the controls to your riding style. FULLY ADJUSTABLE 43 MM INVERTED FORK: A bike as powerful as the CB1000R needs top-notch suspension components. That's why we gave it a stout, large-diameter 43 mm inverted fork that's fully adjustable. And it's also one of the reasons why the CB1000R handles so well. 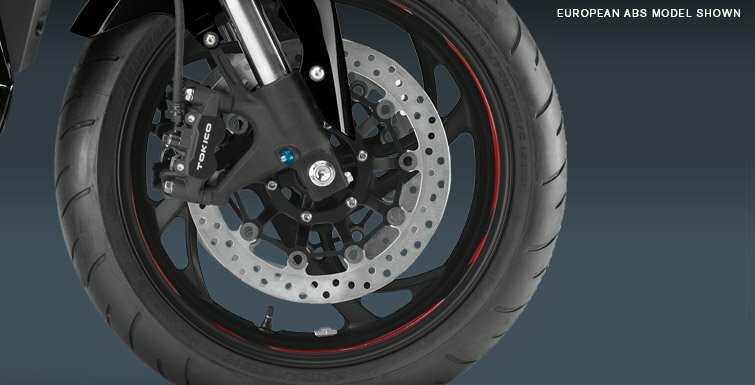 RADIAL FRONT-BRAKE CALIPERS: The CB1000R's radial-mounted monoblock front-brake calipers are stiffer, for better brake feel and performance. Each caliper uses four pistons that squeeze lightweight 310 mm floating discs for exceptional stopping power. 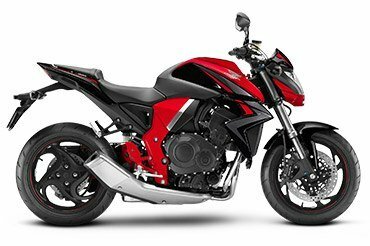 PGM-FI FUEL INJECTION: The CB1000R's Programmed Fuel Injection (PGM-FI) ensures crisp throttle response and both low- and high-rpm performance. In addition, there's no choke to mess with, and the CB1000R runs perfectly at all altitudes and temperatures, even on cold mornings. 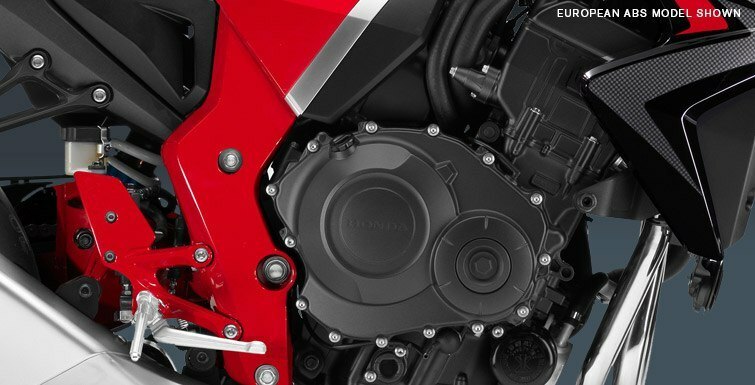 998 CC DOHC ENGINE: The CB1000R uses a 998 cc inline-four engine based on a previous generation CBR1000RR, but is tuned to produce more torque and horsepower in the midrange and bottom end—the perfect combination for a machine like this. GRAVITY DIE-CAST ALUMINUM MONO-BACKBONE FRAME: Gravity Die-Cast technology gives the CB1000R a chassis that's strong, but light. 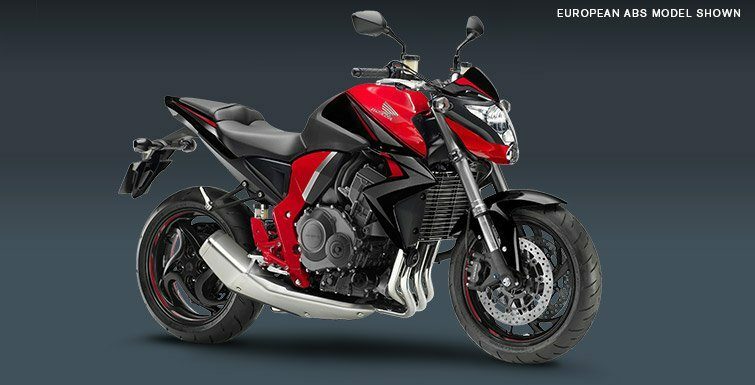 The single backbone architecture links the steering head to the swingarm pivot, but without any frame spars to interrupt the CB1000R's lines. SINGLE-SIDED SWINGARM: Proven on Honda's endurance racebikes, the CB1000R's single-sided swingarm not only looks awesome, but makes rear-wheel maintenance easier as well. FOUR-INTO-ONE EXHAUST: Looks great, sounds great, and helps increase performance: how's that for a win-win-win situation? The four-into-one header with its flowing pipes pays homage to classic Honda inline fours of the 1970s like the CB400 Supersport. Some things just never go out of style.